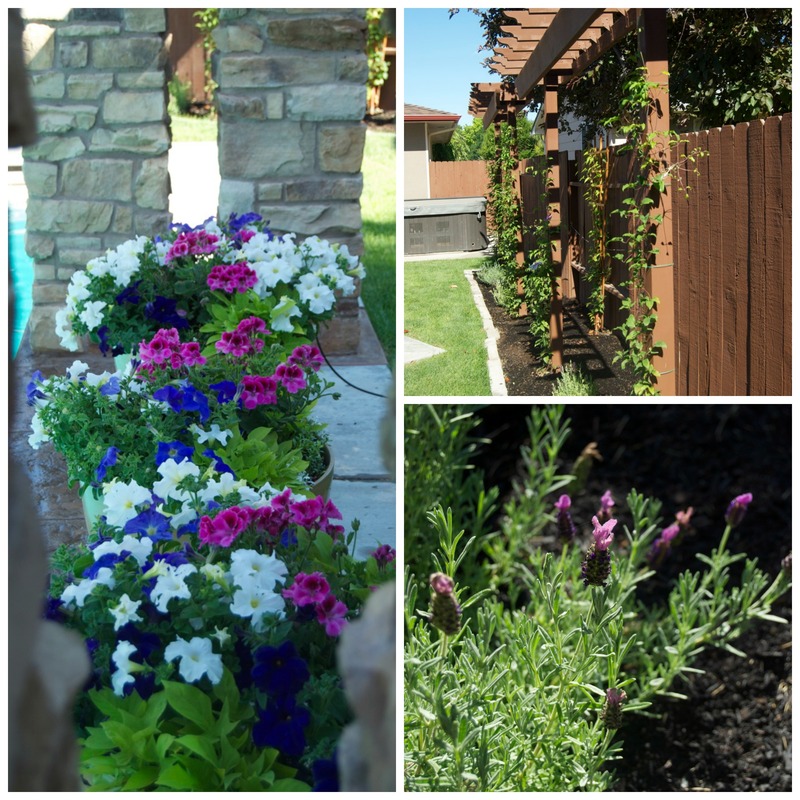 Last Sunday I enjoyed a close-up experience admiring six lovely gardens in the Boise area. It was a day filled with lots of oohs and aahs, a bee sting and honestly a good dose of garden envy! You know what I’m talking about….you visit someone else’s garden and upon seeing their plant combinations, resting spaces, veggies plots, etc…you want to run home and rip out your entire garden to start over!!! I want a “DO OVER” you shout inside your head! Although garden envy happens, it is usually short-lived. Once back in your own garden for a bit, you see the highlights and begin to feel better. This is really when the value of the tour comes into play. Once feeling positive and motivated, some of those fabulous ideas gleaned from the tour can be used to improve the “low lights” of your space. I must say the “good” of the Boise Garden Tour (BGT) far outweighs any bad personal garden moments. This event is a fundraiser for the Idaho Botanical Garden and helps support many community programs focused on gardening, education and enjoying the greater outdoors. The BGT happens every June and is composed of private residential gardens that open for a day of public touring. The gardenkeepers (homeowners) are usually present and you can visit with them. This year’s selected gardens were very diverse, keeping the senses engaged and the camera clicking. I really enjoyed the vast difference in style of each garden. Here’s a look at Garden #1. This residence included three outdoor gardens all very different from each other. 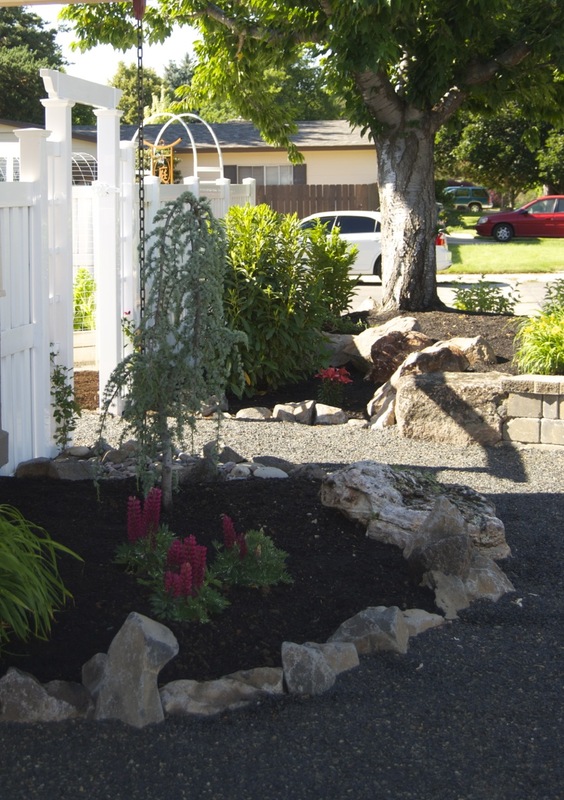 The front garden seemed to have been “freshly created” but included a gorgeous, old cherry tree as a focal point. 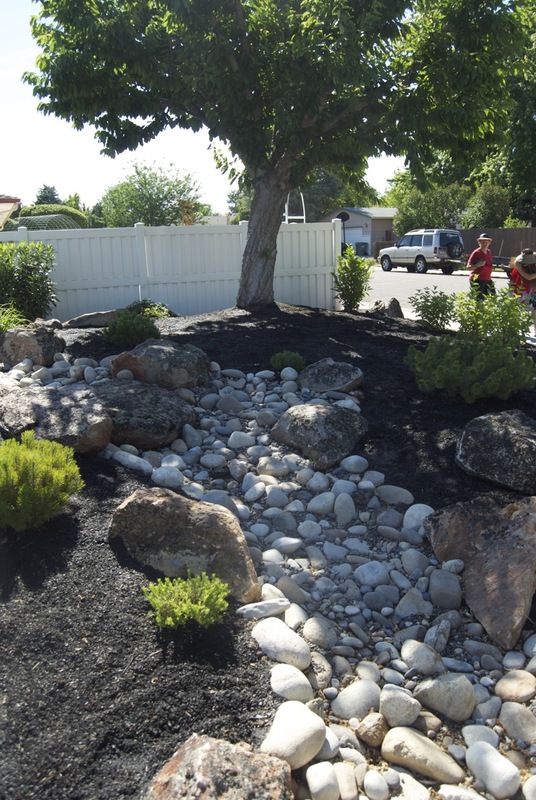 A beautifully designed, dry stream bed with plantings of daylilies, salvias, lupines and low maintenance evergreen plantings comprised the rest of the front area. The rock used in this area was very appealing and as the plantings mature they will soften the edges giving a nicely balanced aesthetic. 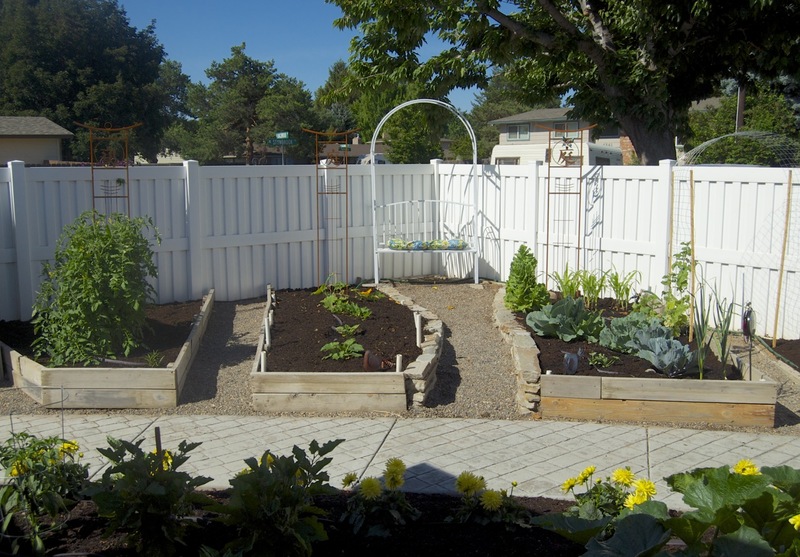 A comfy gravel path takes one around the front garden to a light, bright, side garden that has been fenced and turned into a cute veggie spot. 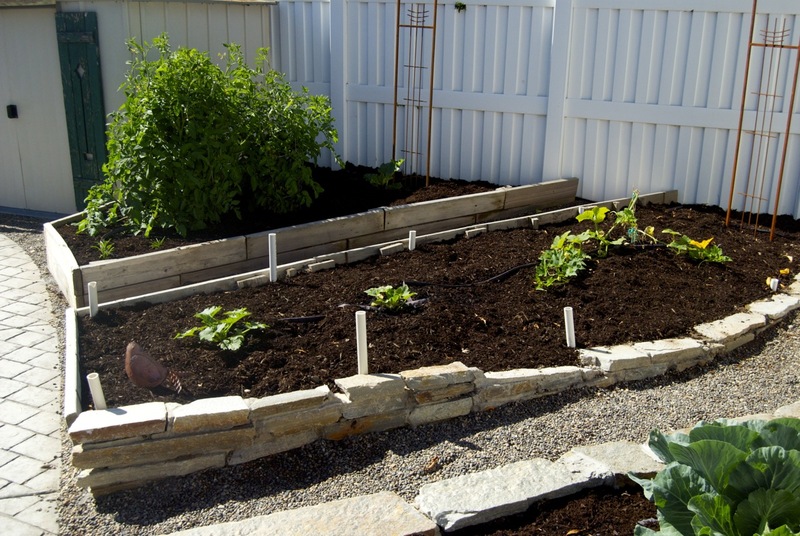 There are three raised beds made of wood and stone. I liked how the beds were built to accommodate a slight slope. This area must be great for growing veggies as the fence not only provides shelter but reflects light and heat for the plants. Happy yellow dahlias add a little more brightness to this area as they line one side of the path that runs through the veggie plot to the third garden space. Oh yeah! When the mercury rises, you can watch it from this back yard spot and then with a skip and a hop do a cannonball into the pool to cool down in a hurry! Yes, this is the back yarden and it looked very inviting! 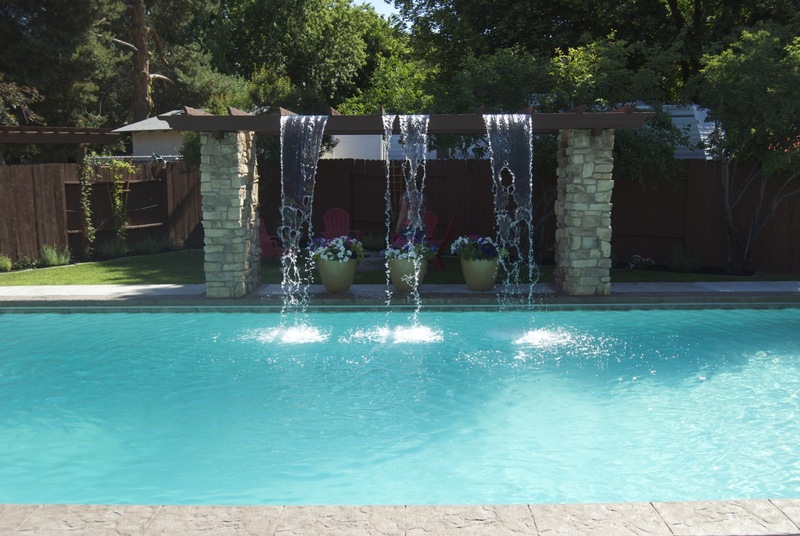 The pool and beautiful waterfalls are most definitely the focal point but plants are not far behind. Large pots filled with luscious annuals, a “wall” of trellised clematis and simple plantings such as Spanish lavender quickly meet the eye. A covered seating area and fire pit are also nearby. Ahh…it’s time to relax and enjoy summer. 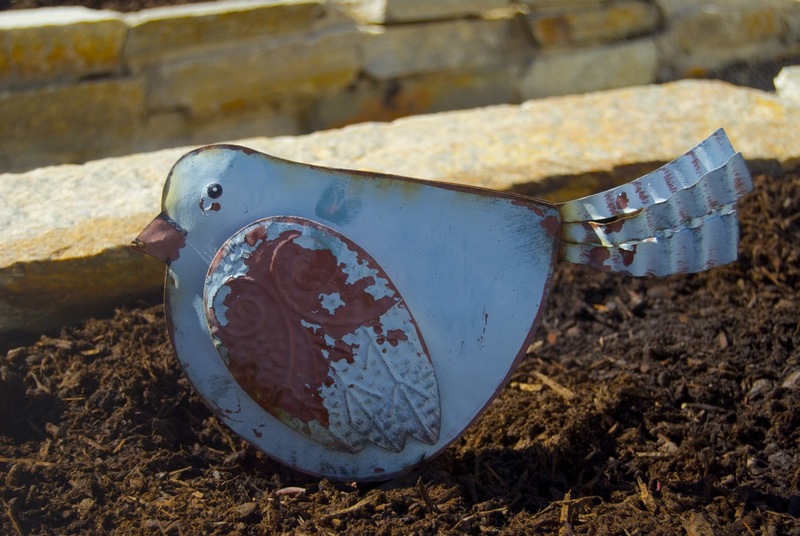 Stay tuned… Garden #2 coming soon…. wow i can’t believe a pool like that exists in boise!!! so pretty!! so jealous!! I would be pressed to spend that much garden space to put in a pool. That pool looks refreshing. Very neat design too. 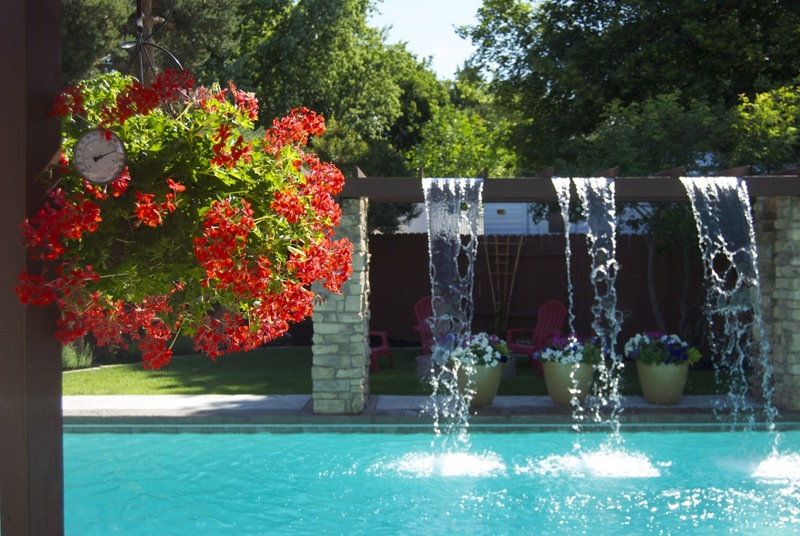 Love that pool and the water cascading but my fav was the wood and stone veg beds on the slight slope.